This week’s roundup of new iPhone cases includes unique themes, a skeleton-style case, and useful wallets—with a few more traditional cases thrown in for good measure. 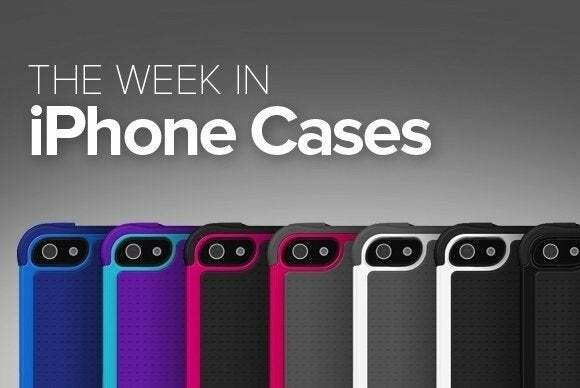 This week’s roundup of new iPhone cases includes unique themes, a exoskeleton-style case, and useful wallets—with a few more traditional cases thrown in for good measure. 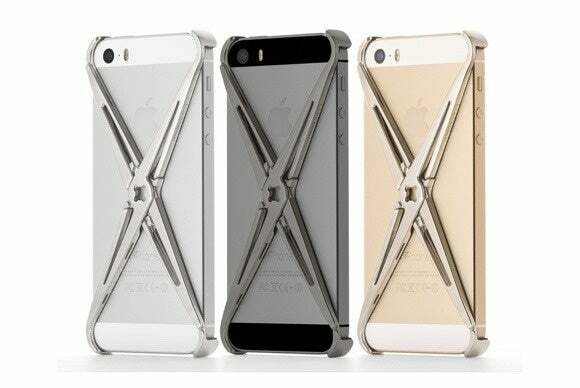 The eXo (iPhone 6; $130) sports an unusual look that’s actually designed to protect your iPhone’s ultra-vulnerable corners without hiding any original features. Its stainless steel skeleton frame prevents damage from impact, while a mechanical quick-release system allows you to quickly attach it to just about anything—at least according to the manufacturer. 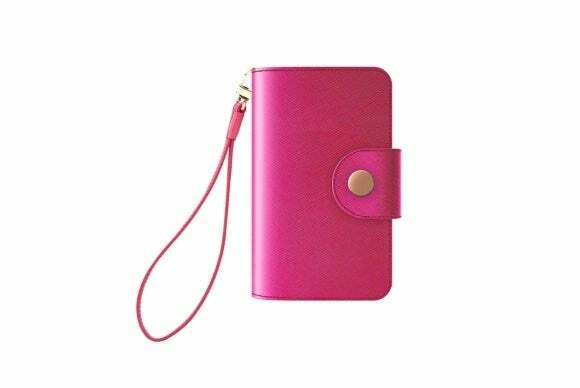 The Portefeuille Française (iPhone 6 and 6 Plus; $100 to $120) is a stylish pink wallet case, with gold accents and a black trim lining. The wallet includes five card slots, a cash pocket, and a zippered compartment where you can store all of your necessities. It also sports a wristlet strap for easier carrying and can be combined with the optional Coque case for additional protection. The Catalyst (iPhone 6; $70) is a versatile slim case, with a sturdy frame that provides excellent protection at the cost of minimal bulk. Designed to meet or exceed military test drop standards for up to six feet, the case can be submerged in up to five meters of water, includes a screen protector that doesn’t interfere with your touchscreen’s functions, and features a rotating crown dial that can be used to quickly mute your iPhone. 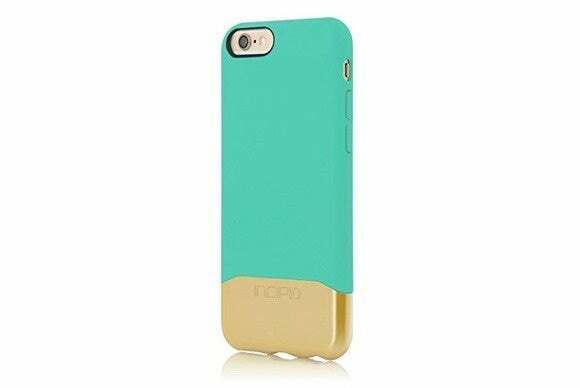 The Edge Chrome (iPhone 6; $30) is a hard shell case that features a two-piece, dual-colored design with impact-absorbing corners. 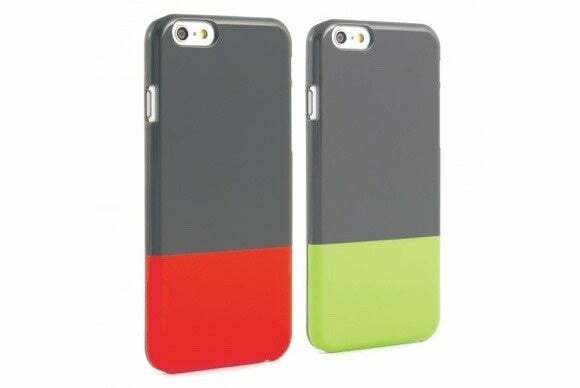 The bottom half of the case easily slides off, which makes installation a breeze and comes in handy if you want to use your iPhone with a dock-cradle accessory or headphones with a thick connector. It comes in a variety of contrasting solid colors, and features a soft-coated body and an inner liner to help prevent damage from accidental bumps and falls. The Dallas (iPhone 6; $30) has an exterior leather shell that is complemented by an interior hardened-plastic build that offers additional storage options. Available in black or cognac, the Dallas includes slots in the back for your credit cards, photo ID, or cash. 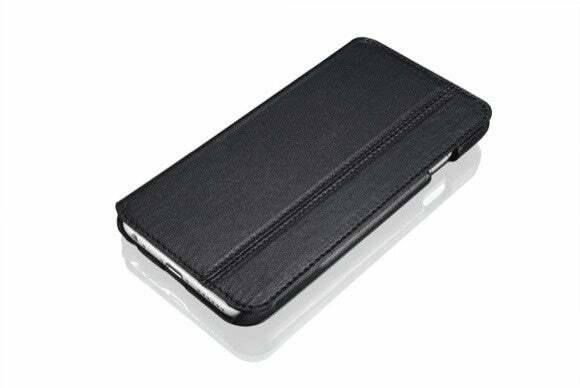 It also sports a magnetic closure that keeps the cover in place when your iPhone is not in use. 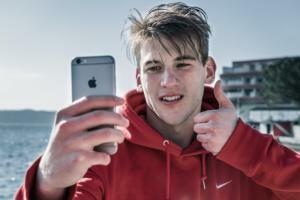 The Dipped (iPhone 6; $20) may be thin, but it doesn’t compromise protection. It features a high-gloss finish that helps keep scratches and smudges away, provides unobstructed access to all ports and buttons, and prevents damage from bumps and drops. It comes in two color combos: grey/red or grey/lime. The Slim Shell (iPhone 6; $30) offers simple but effective protection for your iPhone, with a combination of flexible rubber and durable polycarbonate designed to withstand everyday wear and tear. 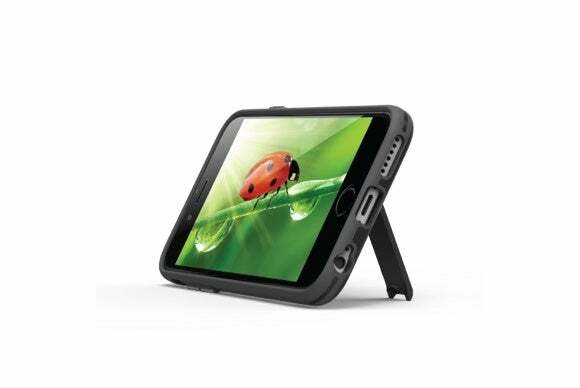 The snap-on case is available in black or white (to match your iPhone’s bezel color, of course), and incorporates a pull-out kickstand that will come in handy when you want to watch videos. 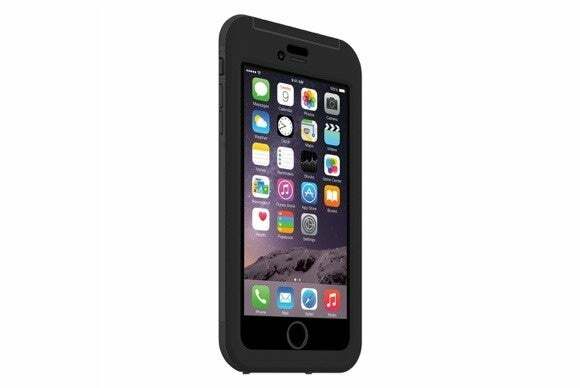 The Obex (iPhone 6 and 6 Plus; $80 to $90) completely surrounds your iPhone in a protective shell designed to withstand the harshest elements. The case prevents damage from drops up to six feet high, can be submerged in up to two meters of water for a maximum of 30 minutes (don’t worry—it has a heavy-duty screen protector), and keeps your iPhone safe from snow, dust, and sudden temperature changes. 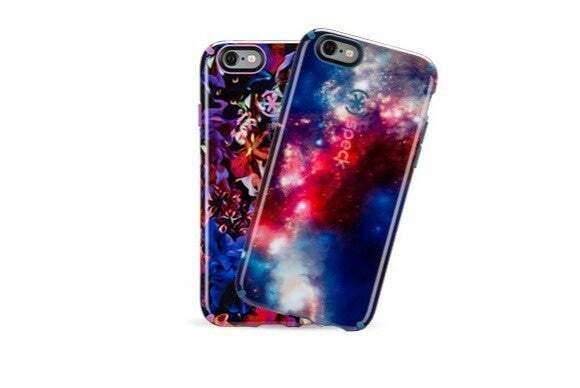 The CandyShell Inked (iPhone 6 and 6 Plus; $40 to $45) features trippy high-resolution motifs coated with a scratch-resistant material that provides a unique look. 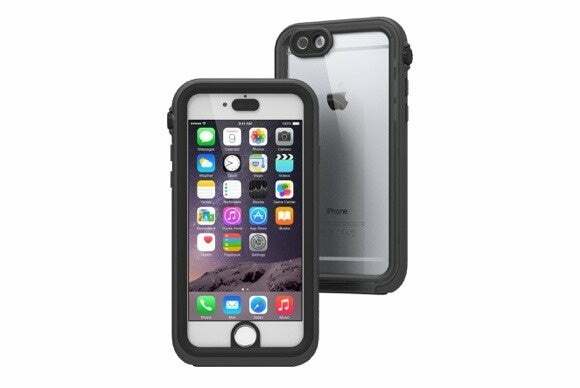 Designed to meet or exceed military drop test standards, the case sports a dual-layered body while keeping a slim profile, and raised edges to help prevent damage to your screen when your iPhone is lying face-down on a flat surface. 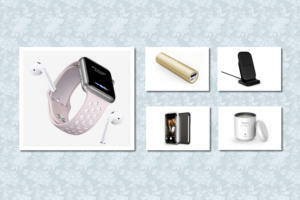 The CandyShell Inked is available in four different designs that feature themes ranging from deep space to flowers and abstract motifs, each with a matching home and lock screen image.